The opinion paper “Mitigation and adaptation potential of Mediterranean forests to climate change" represents a synthesis of results and discussions presented by participants duirng the Fourth Mediterranean Forest Week (IV MFW) held in Barcelona, Spain from 17 to 20 March 2015. 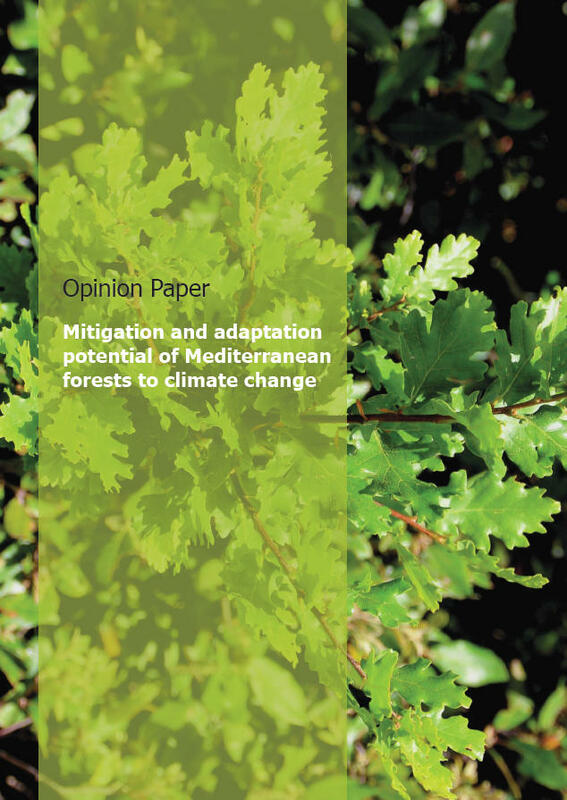 This document is for decision makers and shows the potential of Mediterranean forests in combating climate change employing two strategies: mitigation and adaptation. The Mediterranean context and the forecast of future pressures in the region make those ecosystems vulnerable to impacts and consequences of global changes. However, the use of sustainable forest management can represent an effective and appropriate response, and can maximize all the benefits provided by Mediterranean forest ecosystems. Therefore, this document suggests global recommendations at the regional scale and promotes some precise orientations and activities that are also developed from lessons learned in different pilot sites and case studies as presented in the appendix. It also raises the question of opportunities for funding and mobilizing existing mechanisms, based mainly on carbonrelated issues.